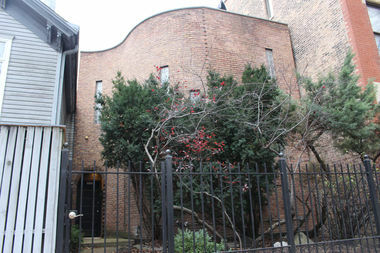 Old Town residents and preservationists argued to save this curved-facade residence designed by architect Edward Marks in the mid-'60s. CITY HALL — The Commission on Chicago Landmarks went against the recommendation of its own staff Thursday and moved to block demolition of a quirky, mid-century modern residence in Old Town. Designed in the mid-'60s by architect Edward Marks, the brick building at 1638 N. Sedgwick Ave. with a curved facade was found by staff not to contribute to the original criteria of the Old Town Triangle District. A handful of Old Town Triangle Association members and staff, however, argued persuasively Thursday, along with preservationists, that it should be protected from demolition. "We believe that this building on its own is worthy of designation" as a Chicago landmark, said Amy Kurson, an attorney for the Old Town Triangle Association. Calling it "visionary and forward-thinking," she said "people in the community do feel it has a very special place." Preservation Chicago Executive Director Ward Miller called the rash of demolitions in historic neighborhoods "a very disturbing pattern." Association staff member Karl Hjerpe said the building shouldn't be demolished because "it tells a story, as many of our buildings do." Shannon Waterfield, who is also with the association, said the house was part of the fabric of the neighborhood. "This building is part of the urban-renewal plan that we all cherish in Old Town," Waterfield said. But the owner of the home, Helen Novak, said she and her husband needed to make a change. "It's a change to the neighborhood," granted Novak, a 37-year resident, but her 85-year-old husband uses a walker, and the house had basically become a prison with no room in the front to construct a ramp. "We go along with the staff recommendation," said Mark Ordower, Novak's attorney. According to staff, demolition was also supported by Ald. Brian Hopkins (2nd). Yet preservationists chimed in as well. Calling it "part of the history of Old Town," Preservation Chicago Executive Director Ward Miller said, "We fully support the preservation of the Ed Marks-designed house." "We too are in opposition," added Lisa DiChiera, of Landmarks Illinois. Commissioner James Houlihan said the arguments against demolition tended to be based on "intense feelings and not specific guidelines," but announced he would attempt to defer the motion to have staff reassess the matter. "We cannot defer," Chairman Rafael Leon said initially. "We need to take some action today." Yet, at the end of a roll-call vote, Leon somewhat surprisingly sided with Houlihan and Commissioners Gabriel Ignacio Dziekiewicz and Juan Gabriel Moreno against demolition. Novak will get to appeal the decision at a public hearing within 90 days. Commissioner David Reifman asked that the process be expedited in the interest of the owner. In a related announcement, the commission set a public hearing on the proposed demolition of 1639 N. North Park Ave. for 9 a.m. Dec. 9 at City Hall. 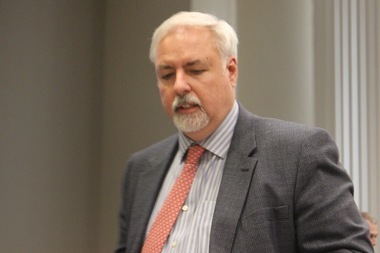 Miller openly questioned what he perceived as a rash of demolitions in historic districts, calling it "a very disturbing pattern" and later adding, "We have five this month" on the agenda. "Are we going to have 10 next month?" The commission, however, showed few qualms in granting demolition to a humbler cottage-type residence at 2125 N. Cleveland Ave. in the Mid-North District. Owner Darlene Little testified that her father had designed and executed its renovation in the mid-'60s. Calling it "not such a grand house," she said, "It is a squat little suburban house, and the neighborhood thought it an eyesore." Saying it had been vacant two years, Little added, "It's a squat little house that doesn't have any significance at all and is in very bad condition." The commission approved the demolition unanimously.